Hi, I’m Claire, an entrepreneur, market research executive, and burnout survivor. A few years ago I realized that I was addicted to striving. Driven by my relentless inner critic, my life had become a series of goals to accomplish. But the more I achieved, the less satisfied I was with myself and my life. I felt sick, sad, and stressed out; I had a bad case of “achiever fever.” So, I set out in search of a remedy. 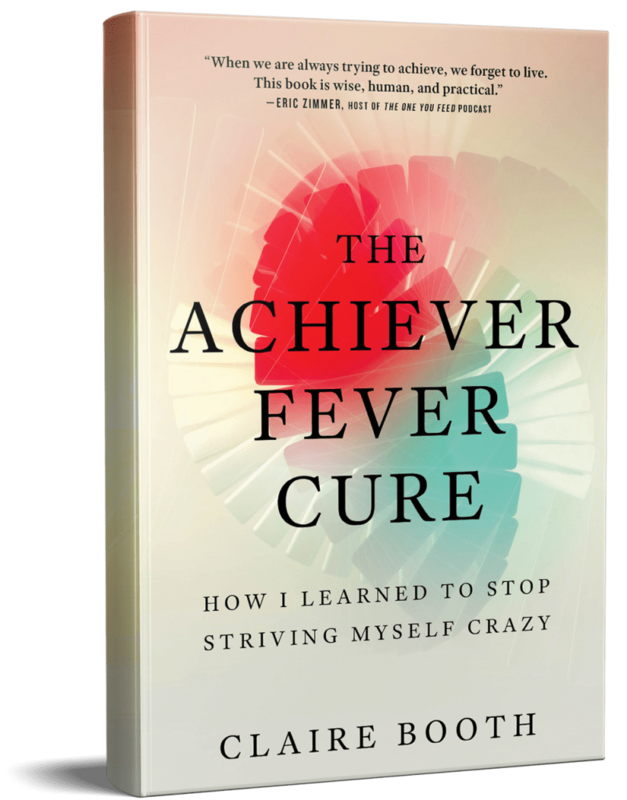 The Achiever Fever Cure is the story of my exploration and a collection of the tools and insights I want to share with you. Market researcher and CEO Claire Booth had built a life filled with achievements, including traveling the world and building a successful market research firm. Yet in spite of her success, she was constantly hounded by her relentless inner critic and feelings of self-doubt. Determined to find the cause of her unhappiness, she turned her lens inward, making herself the subject of a very personal research project. Her quest to find a remedy for her “achiever fever” took her on illuminating excursions into philosophy, psychology, behavioral economics, neuroscience, mindfulness, meditation, and Buddhism. After almost twenty years of chasing insights in consumers, she realized that she’d overlooked the only insights that really mattered—those that lie within. 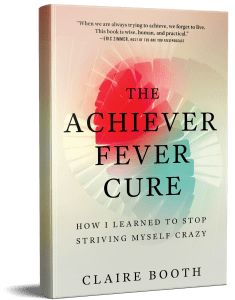 In The Achiever Fever Cure, she shares her journey of self-transformation, and explains how you, too, can find joy and peace of mind, without losing your edge. The Achiever Fever Cure is available now! Sign up to receive email updates on the book. You can unsubscribe at any time. Are you suffering from achiever fever? Take this short survey to find out how too much striving may be limiting your enjoyment of life.